If you have filed bankruptcy within the past few years, is it possible to even buy a car at a dealership? While every situation is different, know that it is likely that you can purchase a pre-owned vehicle during this difficult time. There are a variety of bankruptcy auto loans in O’Fallon from which to choose if you are going through these circumstances. Purchasing a used car is typically smarter than picking out a brand-new model. Since money is obviously a major concern, it is wise not to go over your spending limit. A vehicle priced between $10k-$15k is a good choice. Rely on the specialists at Consumer Reports to research dependable autos in this price range. Many cars that are “cheap” may not last very long or might have substantial mechanical problems that will cost extra to repair. To qualify for affordable financing, you must have a positive payment history and a secured or unsecured credit card for at least 6 months. At 5 Star Auto Plaza, we understand that situations happen out of our control sometimes, we offer financing to those who have had to file bankruptcy. Check out our online car loan application. 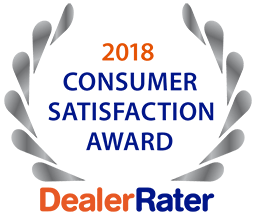 5 Star Auto Plaza always has a large selection of quality used vehicles and is proud to supply competitive bankruptcy auto loans in O’Fallon. Speak with an experienced sales team member by contacting us at (636) 940-7600. We look forward to working with you.